Day 03: Kathmandu/Pokhara/Hyangja 1097m by bus. Day 04: Yanngja/Bhandari 1400m. Walking 6 hours to Dharapani and lunch. After 3 hours of trek today's destination will be at Bhaduri a Gurung Village . Visible Mt. 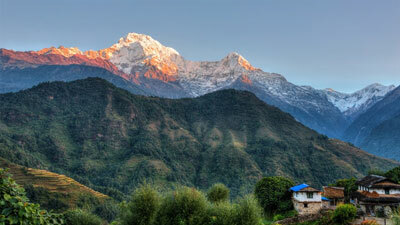 Annapurna , Larjung Himal and Machhapuchhre enticing. Day 05: Bhaduri to Dhobidhara 660m. Walking 7 hours on this day 3 hrs walking leads to a lunch spot at Thamarjung then after from heres 4 hours of trek ends at Rach Dhola a Chhetri Village . Day 06: Dhobidhara to Shartra Danda 777m. Walking 6 hours a straight 3 hours trail leads to Kusma Bazaar lunch another 3 hours straight trail go to Shastra Danda. Day 07: Shastra Danda to Beni 850m.Walking 7 hrs after straight trail from Shastra Danda that reaches Pherse Village an inhabitants of Magars continual walk goes to Beni should cross Kali Gandaki River on the way total a duration of 5 hours to reach at the camping place. Day 08: Beni to Babichour 1020m. Walking 7 hrs from Beni it takes 3 hrs to reach Sibgha the lunches spot along Myangdi River . After hunch the trail goes beside the Myangdi river for 4 hrs to reach Babichour. Day 09: Darbang 1113m Walking 6 hrs straight 2 hrs trail will lead you to Rato Dunga 1059m and another 3 hrs straight walk bring you to Darbang. This is a Thakali village. 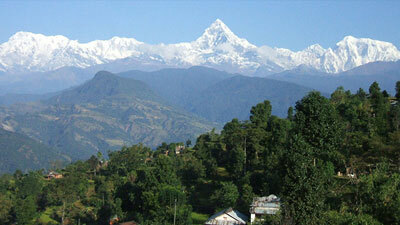 You get magnificent views of Dhaulagiri I, II, III, IV and also Putha Hiunchuli from here. Day 10: Shibang 1750m. Walking 5 hrs after climbing 2 hrs from Darbang will reach Dharapani 1562m for lunch. From here 2 hrs climb and 1 hour straight trail takes to Sibang and then find Gurungs and Thakalis in this Dhaulagiri range and Putha Hiunchuli. Day 11: Muri 2000m. Walking 7 hrs. From Sibang 3 hrs trail takes to Dar Khola and another 4 hrs straight trail will take you to Mure village the people here are Kami (Blacksmith) On that trail will have always the magnificent views of Dhaulagiri and Putha Hiunchuli. Day 12: Jugapani. Walking 5 hrs after descending for 2 hrs cross Myangdi Bridge. From here following one-hour ascent one-hour descent and one-hour straight trail will take you to Jugapani. Day 13: Bograha Walking 7 hrs a 5 hrs climb and 2 hrs descend takes you to Baghara the Magar Village.Since there there is no good lunch spot between Jugapani and Boghata packed lunch will be served. Day 14: Lapche Kharka Walking 6 hrs. From Boghara, a 3 hrs walk will take you to Lipse, from there the trail goes through dense jungle for 3 hrs. All along the trail follows the Muyagdi Khola to Lapache Kharka for camp. Day 15: Chartare. Walking 7 hrs the trail continues through the jungle to reach Dobang and descends to the Myangdi Khola for 3 hrs. the trail now makes a gradual ascent for4 hrs to reach Chartare. Day 16: Italy Base Camp. Walking 4 hrs trail from Chartare, 1 hour ascent 1 hour straight l1 hour straight through dense jungle will take you to Italy BC. 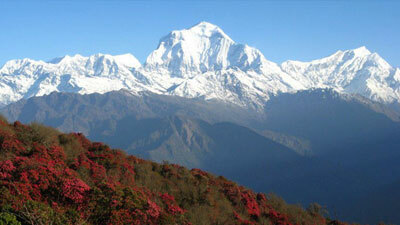 You can get a spectacular view of Dhaulagiri I, II, III, IV, V, VI Tukuche peak and Mukut Himal. Day 17: French Pass 5334m Walking 5 hrs after one-hour gradual ascent 3 hrs uphill and walk and one hour descend through snow covered trail will take you to French BC. You get good views of Mukut Himal Hongde 655m. Dhampus peak 6011m. Tukuche peak 6920m. Dhaulagiri II and IV from here. 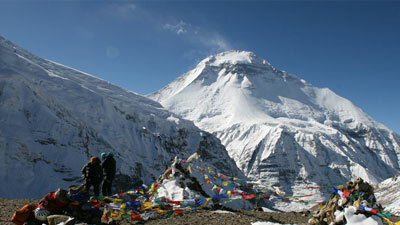 Day 18: Yak Kharka Walking 6 hrs a windy hour gradual ascent through snow covered trail will bring you to Yak Kharka. A gradual climb for 3 hrs from French Pass will take you to Dhampus Pass 5148m. 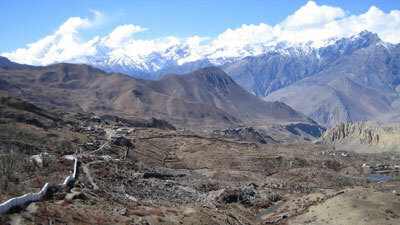 Dhampus Pass offers magnificent views of Nilgiri 6940m. Dhaulagiri I Tilicho peak 7132m. Thorung peak 6449m. Tashi Kang 6386m.Mukut Himal Kali Gandaki George Annapurna I 8691m. 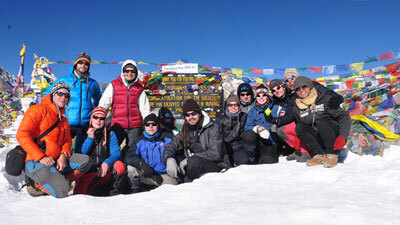 Annapurna South 7219m. Gurja Himal 7913m. Putha Hiunchuli 6246m. 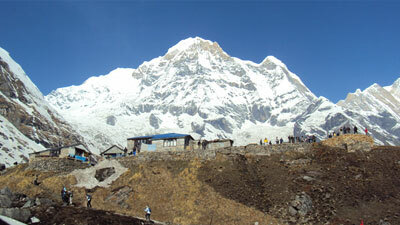 and Churen Himal 7371m. On this day packed lunch will be served. Day 19: Marpha Walking 6 hrs from here it takes 2 hrs to reach Batasi Danda. A gradual descent of 4 hrs will bring you to Marpha 2667m the village inhabited by Thakalis, there are three beautiful old monasteries. Marpha Has an experimental farm, which can be visited. Day 27: Kathmandu half-day sightseeing afternoon free for shopping and in the evening a farewell dinner with a cultural show. Day 28: Transfer from hotel to airpot for final departure.